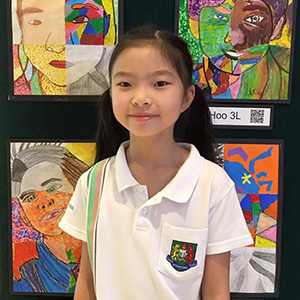 Meet 9-year old Sarah Liew, a Kumon student. At her tender age, she’s already doing Form 2 Simultaneous Linear Equation, which is a good five years ahead of her peers. Her motivation? Herself. “I want to prove to myself that I can do it,” she says with confidence. The Kumon Method believes that every child is able to unlock their limitless potential and he or she, like Sarah, has the ability to progress beyond his or her school grade. But how? Sarah’s mum says it best. Perseverance. Discipline. Confidence. With a little help from Kumon, your child could be like Sarah too. That was the advice given by Mr Amirul to his children – Elina, 16; Aiman, 13 and Danish, 8. 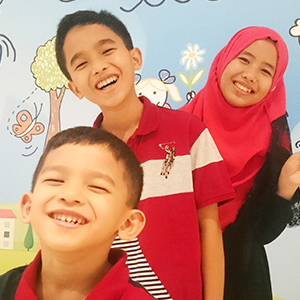 A firm believer that persistence pays off, Mr Amirul and his wife, Ms Elin, overcame all challenges to enrol their children in both Kumon’s English and Maths programmes. Heeding their father’s advice and motivated by their self-improvement, Elina and Aiman have successfully completed all the levels and both became Kumon English Completers. Not to be outdone, their younger brother Danish worked hard and successfully became a “Kumon 5 years Advanced Student” in Mathematics! We at Kumon certainly hope that this spirit stays with our students and takes them further in life. 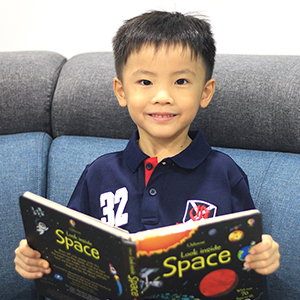 Meet Victor Dheing, a 6-year old pre-schooler who enrolled in our Kumon Mathematics programme. In just 10 months since he started the programme, Victor is now solving problems that are 2 years in advance of his age. His secret? An ability to calculate numbers quickly garnered through constant practice and more importantly, a willingness to learn from his mistakes. “No matter what failure he encounters, he will be okay and will try again,“ Victor’s mum testified. At Kumon, young children like Victor are taught that mistakes are part and parcel of the learning process, and that we can always improve and progress in life if we have the courage to face and correct the mistakes we made. Be brave and take risks! Big words from a 9-year old. Not just that, Mohgiendran has a big ambition too. He dreams to be an aerospace engineer one day. In his 2nd year of study at Kumon, Mohgiendran is confident and never afraid to think big. He likes being praised when he achieves something, and that motivates him to willingly undertake more challenges. Last year, he took on the challenge to participate in an international competition and that has become one of his proudest moments in life. 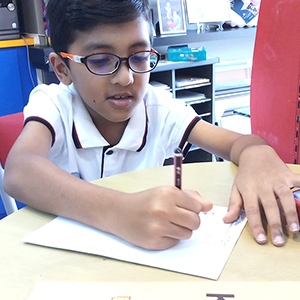 Mohgiendran is now studying Kumon materials 3 years advanced in Mathematics and believes that Kumon can help him build the confidence to achieve anything that he wants in life.